Water can actually feel this beautiful: the revolutionary mixer shower jet of the AXOR Starck Organic wash basin mixers drops luscious pearls of water onto the skin – an extremely titillating and sensuous sensation. The extremely efficient shower spray, which resembles a luxury shower for the hands, is made up of 90 jets and is highly functional, bathing your entire skin. AXOR Starck Organic provides you with all the water that you need, but with less consumption than conventional mixers: the flow rate is just 3.5 litres/minute, and does not compromise in the slightest when it comes to functionality and water experience. The mixer shower jet feels voluminous and titillating – but uses less water. 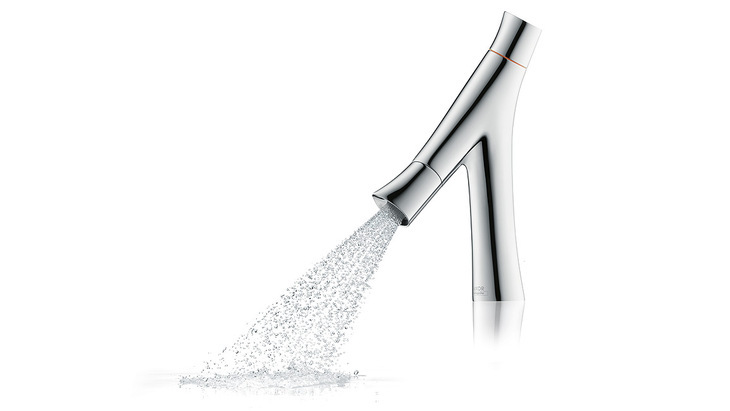 Responsible use of this sustainable resource is a functional principle of AXOR Starck Organic, and the normal setting reflects this principle. However, if you should occasionally prefer a more powerful jet, you can deliberately increase the water flow at the wash basin from the basic setting of 3.5 litres/minute to 5 litres/minute („Booster“ position).